When your protective gear delivers more discomfort than protection, the tradeoff isn't worth it. So stay comfortable AND protected in this pair of Occunomix LUX TENR YEL Men's High Visibility Rain Pants. They are everything you want from workwear and much, much mor ... (see full details) (see specifications) #OCCLUX-TENR-YEL. When your protective gear delivers more discomfort than protection, the tradeoff isn't worth it. So stay comfortable AND protected in this pair of Occunomix LUX TENR YEL Men's High Visibility Rain Pants. They are everything you want from workwear and much, much more. These yellow hi-vis pants are manufactured with Class E ANSI-certified safety materials. That way you can work confidently on the jobsite knowing you are protected. In addition this outerwear is constructed with waterproof technology so you can stay dry all day long. They are also designed to keep you comfortable thanks to superior breathability. You'll stay well ventilated while you ward away the elements in these pants. When you have to work at night on high hazard sites, these waterproof Occunomix pants offer two-inch 3M Scotchlite reflective material to make you stand out. There are four 360-degree horizontal leg stripes to make your movements shine and keep drivers or other potential hazards aware of your presence. The elastic waistband provides you with a flexible, secure fit. Navy fabric at the ankles of the pants hides dirt and mud so you can get a little grimy without wrecking your style. The pockets are pass through for extra room. Don't close yourself in with inhibiting clothing, add these Occunomix LUX TENR YEL High Visibility Rain Pants to your collection of rain gear and stay dry and safe and comfortable. Go ahead and order this premium outerwear from the Working Person’ Store today! We think you will be impressed. OCCUNOMIX BY FAR HAS THE BEST HIGH VIS. YELLOW COLORING AND HAS BECOME A PART OF MY HUSBANDS WORK WEAR IN MANY AREAS OF SEASONAL NEEDS AS OF THIS YEAR. THESE ARE GREAT RAIN PANTS THAT REALLY KEEP HIM DRY AS WELL AS SEEN. HE WOULDNT MIND ZIP BOTTOMS BUT NOT BEING THEM ISNT A DEAL BREAKER BECAUSE HES PLEASED IN EVERY OTHER ASPECT, I HAD GOTTEN THE OCCUNOMIX RAIN GEAR JACKET AS WELL TO GIVE HIM AS A SET AND ITS AS GREAT AS THE PANTS, AND A GOOD LOOKING SET ON . 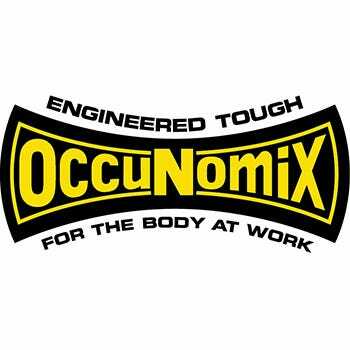 YA GOTTA ADD OCCUNOMIX TO YOUR COLLECTION, GREAT STUFF. GOT THE INSULATED BIBS SPEED COLLECTION FOR WINTER AND HE IS 100% LOVING THEM. They are comfortable to work in, could wear them all day. The pants are easy to move around in and they can be removed with work boots on. The material is breathable and does not cause constant sweating. Pockets would be a nice addition. Would prefer zipper rather than the elastic waistband. Overall very satisfied with this purchase. Occunomix Pants: Men's High Visibility Yellow Rain Pants LUX TENR YEL is being added to your cart.